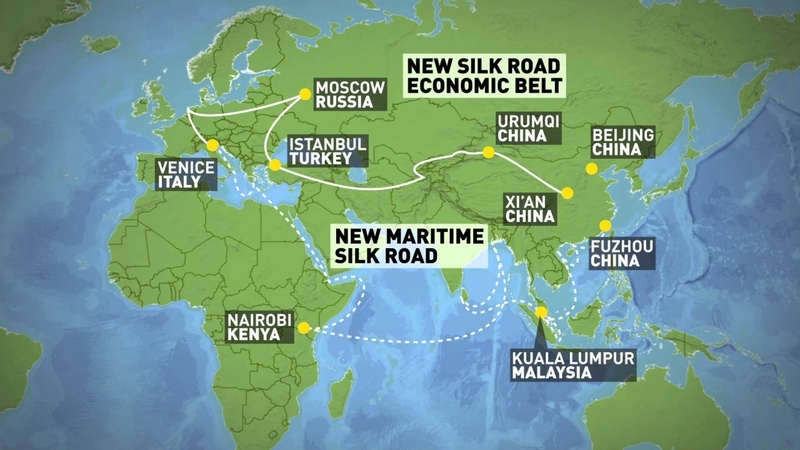 «One Belt and One Road» (OBOR) policy (or Silk Road Economic Belt and the 21st Century Maritime Silk Road) heralding further integration of China with South East Asia, Central Asia and Russia, Europe, the Middle East and Eastern Africa is gaining renewed momentum and further international attention. Following recent attacks in Paris, Turkey, Lebanon, Sinai together with increase of terrorist activity in several countries included or bordering OBOR’s space, sophisticated technical, diplomatic and defence factors are bound to influence the initiative and its very significance. OBOR transport connectivity and infrastructure dimensions as a key for development have come to be considered under a new light at bilateral and multilateral fora, including APEC’s summit in the Philippines and the G20 summit in Turkey. Beijing, wishing to play a more global role than ever, is convinced that linking OBOR and the UN’s post-2015 development agenda will ensure that relevant programs will contribute to the medium- and long-term development and promote regional stability and security. Few hours after Paris terrorist attacks, China's Vice Finance Minister, Zhu Guangyou, in Antalya, Turkey, declared that «It will be of important economic and political significance for us to ensure the sustainable, balanced and strong economic growth, and also deliver on the UN pledge that by the year 2030 poverty should be eradicated worldwide, because we believe this will eliminate the soil that breeds terrorism». Poverty and security issues are clearly related in many conflicts around the world. Nevertheless, the situation is much more complex. Consider, for example, the situation in Xinjiang, China’s Western-most Autonomous Region, which has experienced spectacular double digit economic growth for decades, and yet the Region, and various Chinese cities have been hit by Xinjiang-inspired attacks in recent years. At continental level Xinjiang happens to be crucial for OBOR since it is a strategic communication node and a gate to Kazakhstan, Russia, Central Asia and Europe. For China’s economy, which will hardly reach 7% growth this year, but represents as high as about one third of global economic growth, firmly betting on innovative mega projects, such as OBOR, the Asian Infrastructure Investment Bank (AIIB) and the BRICS New Development Bank, security acquires a renewed significance. But if economic performance is one of the tools to eliminate the soil that breeds terrorism, it should be coupled with additional measures. At Turkey’s G20, key concepts such as inclusiveness, implementation and investment have been highlighted by different leaders. If OBOR is about to make an impact, it should make an extra effort to bolster the first two components and certainly reinforce the third one. Nowadays Beijing is used to lead projects implementation of all sizes at home and abroad. In many countries of Asia, the Arab world, the Persian Gulf and Africa, Chinese companies have been building bridges, highways, railroads. In neighbouring Pakistan, China has tens of thousands of workers (20,000 in the Karakoram-Highway alone). Overall outcomes are spectacular, but sometimes local labour forces in different countries do not feel enough included in these implementation processes. Also, following Chinese pro-development approach, we should bear in mind that economic growth by itself, no matter how strong, sustainable (ecological) and balanced it might be, does not necessarily reinforce an adequate Gini index. Actually imbalances might create new complexities, either in China’s Xinjiang or in the West. Consider EU countries (particularly France and Belgium). Due to the economic crisis and thanks to the educational and economic system’s inclusiveness gap, a tiny but deadly proportion of native Europeans and immigrants feel inclined to alienation and ultimately attracted by terrorism. As a result, in security terms (ominously and surprisingly) Brussels, the capital of the EU and of NATO’s headquarters, is at the moment perhaps one of the most fragile cities in Europe and Eurasia. Over centuries (and in the first decades of the People’s Republic of China), unlike Western powers, Beijing did not pursue an expansion of national interests in distant continents (mainly economic, investing and entrepreneurial activities), which precisely at present translates into a relative economic intelligence gap on several countries, including developing and emerging ones. This is particularly sensitive at official levels. As professor Jiang Shixue states: «As a matter of fact, it is not realistic for the Ministry of Foreign Affairs to understand everything about all the countries relevant to the OBOR initiative». Traditional inward-looking views have also played their own role reinforcing this knowledge gap. Until recently Beijing argued that due to China’s demographic size, by well governing its own people it was contributing to world’s governance. But over the last two decades, things have clearly changed. First came Beijing-Moscow initiative of creating the Shanghai Cooperation Organization (SCO), in 1996. In the post-World War II global order, it was the first truly international institution in which China was a co-founding member. A second step came with China’s accession to the World Trade Organization (WTO), accelerated thanks to Beijing’s support for the international anti-terror campaign following September 11 attacks in New York. 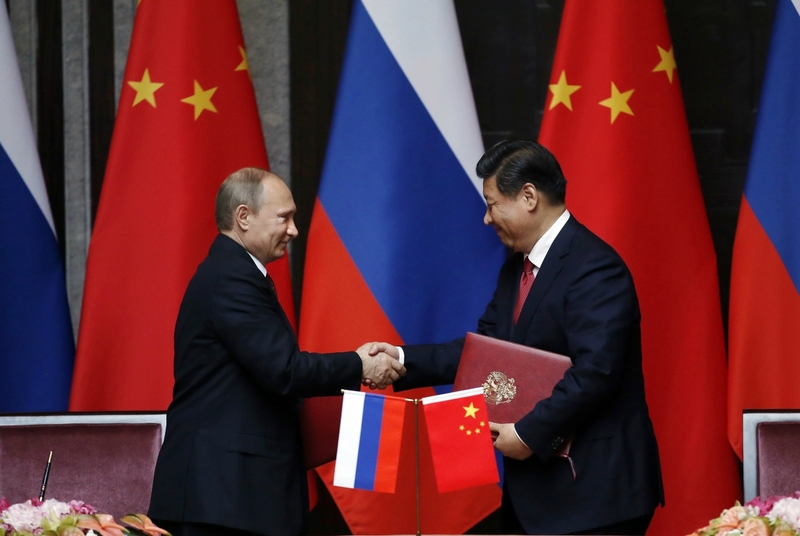 Currently, one of the strong aspects of China’s OBOR is to highlight Russia’s significance as a key Eurasian player. For example, in spite of recent Euro/Atlantic-Russia divergence, among VIP participants in October’s OBOR major event, «Silk Road Forum 2015» held in Madrid, there was Russian representation. In fact, although timidly, long-term geostrategic factors leading to Eurasian collaboration are being seriously considered among EU policy-makers. After all, the members of the SCO and the Russian-led Eurasian Economic Union have already agreed to develop Silk Road projects. Beijing and Moscow are discussing details to build high-speed rail to link both capitals against the backdrop of the Yiwu-Madrid railway already stretched across Eurasia. Europe is expected to respond to Beijing’s OBOR plans. And that reaction would likely to have an added bonus if such cooperation would also support EU-Russian rapprochement. Actually the global anti-terror campaign against ISIL and other forms of terrorism is also a great chance for renewed synergies of all kinds. In any case, to make synergies work, the EU should consider reinvigorating internal coordination and act ASAP. Already the Juncker Plan (also called European Investment Plan) that aims at providing public and private investments of at least €315 billion over a three year fiscal period is expected by diplomats and analysts in the EU and China to be connected with OBOR. If we bear in mind that unemployment in the EU is a soil on which alienation and terrorism may flourish, such initiatives are helpful in a long-term comprehensive security approach. In spite of some reasonable but mainly unfair criticism to the initiative, each of the EU leaders visiting China over the last weeks has made explicit commitments to actively participate in OBOR. Not bad, taking into account that even growing clearly at less than 7% a year, China is likely to become the largest overseas investor by 2020. Then its global offshore assets are expected to reach $20 trillion. Notwithstanding the fact that Doha trade negotiations are not concluded, most likely OBOR policy will continue high on the agenda, promoting further interaction and growth among different States and cultures. But if China is big in the world, the world is too big for China. An increasing regional collaboration among concerned OBOR countries is bound to reach higher degrees of sophistication.